One of the first five most frequent causes of medical malpractice claims in Annapolis is the misdiagnosis of appendicitis. The problem comes from the fact that around 10% of emergency room patients come in suffering of abdominal pain, but only a few of them actually have appendicitis. Appendicitis is a condition that needs a timely diagnosis, as the appendix could burst and cause surgical complications and infection. If you or your loved one have been the victims of medical negligence you should get the help of a malpractice attorney from Annapolis. It proves to be quite difficult to give a diagnosis of appendicitis. Studies show that appendicitis is diagnosed properly in 80 – 90% of cases and that the diagnosis is easier in males patient with ages between 18 -50. For female patients, children, elderly people and obese individuals it may be more complicated to give a diagnosis for appendicitis. Your medical malpractice injury lawyer from Annapolis can help you file your claim and receive compensation. If a doctor suspects that a patient has appendicitis, they will order a CBC (Complete Blood Count) to determine if they really have it or not. Around 80% of appendicitis patients have an elevated number of white blood cells (leukocytosis). Any doctor should be able to rule out appendicitis based on the CBC result, the patient’s history and the presented symptoms. If the doctor fails to give the proper diagnosis and fails to diagnose appendicitis, you should contact a medical malpractice injury lawyer from Annapolis and file a claim against the clinic, hospital or doctor. Cecal diverticulitis, which involves bleeding in the colon. Some patients suspected of suffering of appendicitis may be given a colon exam to rule out cecal diverticulitis. 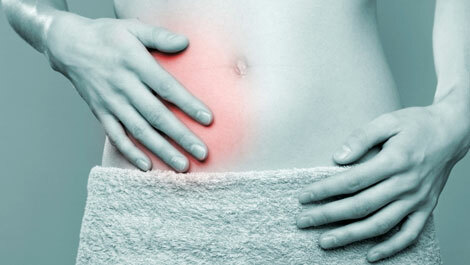 Crohn’s disease, which includes fatigue, abdominal pain diarrhea, weight loss, and fever. To rule out this disease the doctor should do an imagining test of the appendix. Chron’s disease is likely if the appendix is not inflamed. Gynecologic conditions, including pelvic inflammatory disease and ectopic pregnancy. These have symptoms very similar to appendicitis. That is why it is harder to diagnose appendicitis on female patients. For more information about appendicitis misdiagnosis you can contact the best medical malpractice lawyer from Annapolis at (443) 569-3950 or send an email to [email protected].